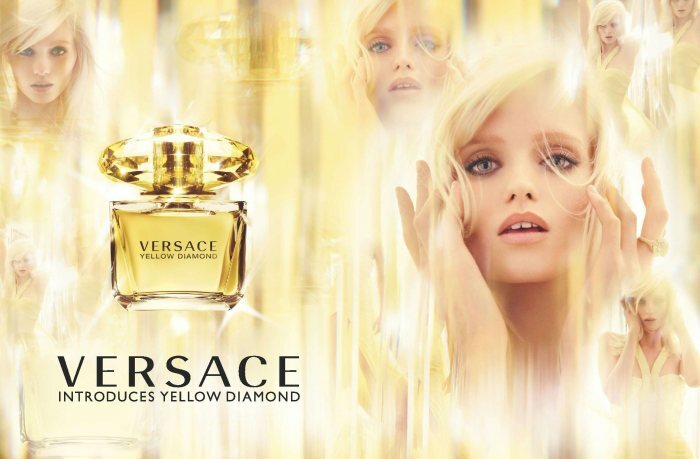 Last night I attended a private event for the launch of the new VERSACE fragrance, YELLOW DIAMOND. The event was held at the label's fifth avenue boutique on the balcony level which is an exclusive area above the store. Guest sipped on champagne and ate small bites as we smelled the fragrance and watched a behind the scenes video of the ad campaign which featured Donatella Versace, Mario Testino who shot the campaign and model Abbey Lee Kershaw who stars in it. It has a very light, crisp and clean smell, which to me, excites with intensity. 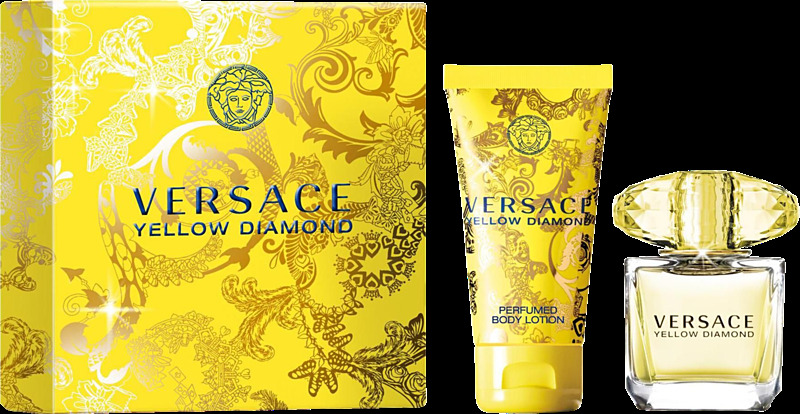 Top notes include citron from Diamante, pear sorbet, neroli and bergamot. The middle notes include nymphea, freesia, orange blossom and mimosa. The end notes has amber wood, palo santo and musk. I have really bad allergies but the scent did not bother me at all so that was a huge plus for me. Overall Yellow Diamond is just a luxurious scent that brightens up your senses and it takes you on a fascinating journey of sensuality. Alberto Morillas, the creator of the fragrance said "Yellow Diamond is a burst of juicy freshness and enveloping sensuality. A diamond that has got a character and remind us of the brightness of a sunny day. It expresses luxury, energy and warmth". Check out this video above which is the ad campaign and continue to see the stylish bottle and packaging. Just as much as I love the fragrance, I love the bottle design and packaging. Yellow Diamond comes in a yellow colored bottle in a box that is decorated with the baroque ornaments which is available in 50ml and 90ml Eau de Toilette. The twist top is in the shape of a huge diamond to coincide with the name. Fashonista's tell me what you think, will you be buying Yellow Diamond?